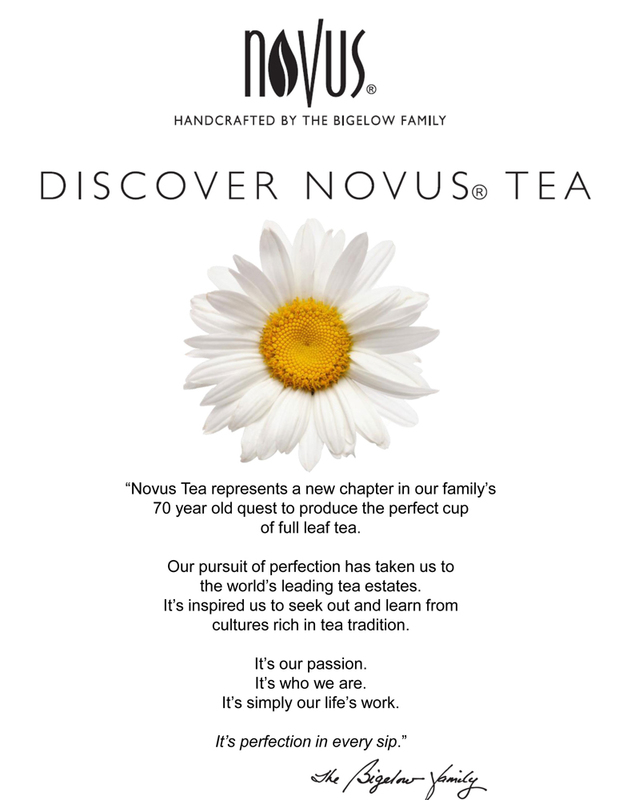 Novus, part of the Bigelow Tea Family, is a new dimension in tea! Exotic, full leaf blends, presented in a unique, pyramid design mesh tea sachet. 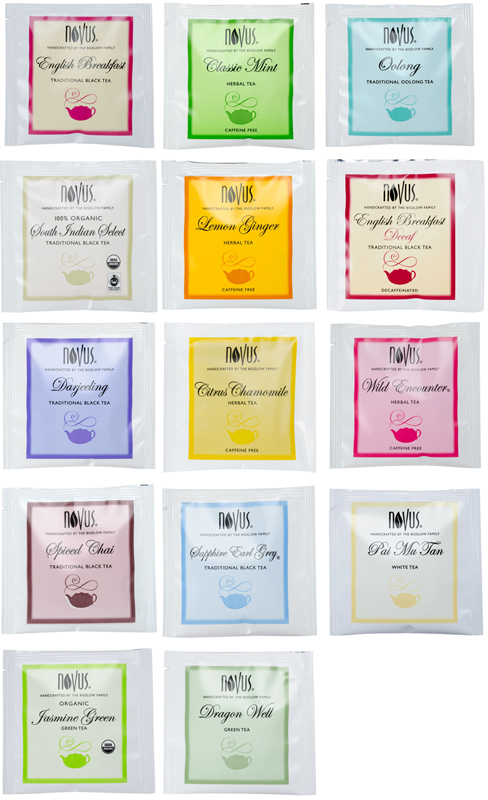 The sachet allows boiling water to flow easily through and around tea leaves to release their distinct, exceptional flavors. Available in 14 delicious, natural, gluten free, Kosher, Non-GMO varieties. One case = 50 individually wrapped teabags. Pyramid shaped woven mesh bag allows for unprecendented infusion. Foil lined pouch protects tea from air and moisture. Natural herbs, flowers, and fruits. Nothing artificial! Bag, String, and Tag are 100% biodegradable! Note: Individually wrapped tea bags ship in a plain cardboard box. Organic South Indian Select - Black Tea Distinctively bold with a crisp finish. This brew is bright and brisk, with a wood-like aroma and a rich coppery color. Fair Trade Certified. INGREDIENTS: Hibiscus Flowers, Apple Pieces, Rose Hips, Elderberries, Strawberry Pieces, Passion Fruit Pieces, Kiwi Pieces, Raspberry Pieces, Sunflower Blossoms, Rose Petals, Blue Cornflowers, Fruit Flavors.